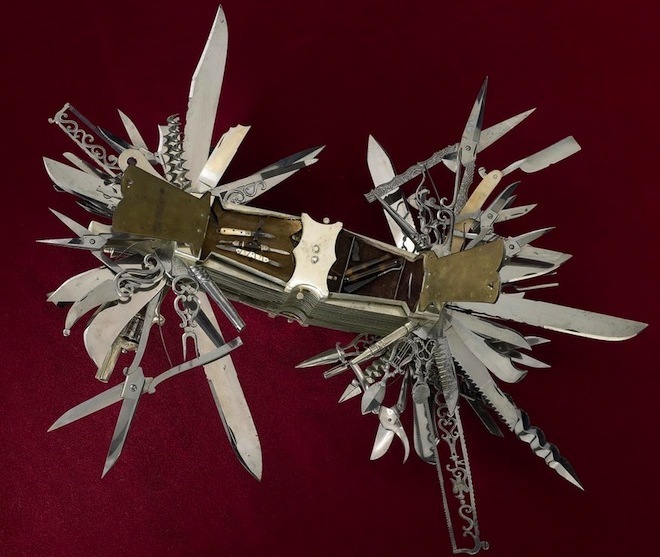 This multi-bladed folding knife was made in Germany around 1880. Image: Smithsonian’s National Museum of American History The F.W. Holler Company manufactured it to be a demonstration piece to show off its products.